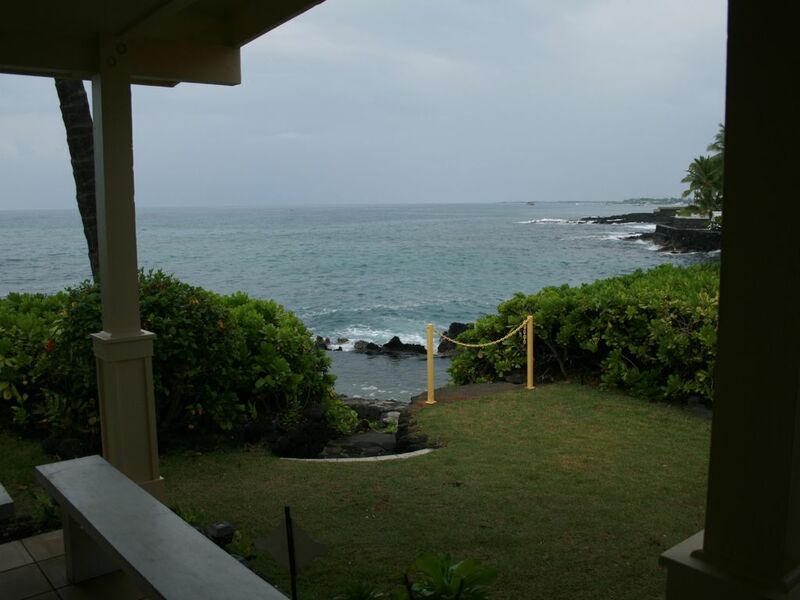 Remarquable 4 BR / 3 BA Accueil Oceanfront avec eau salée "Reine Bath"
Le Hale Huna Kai est situé à 1,6 km de la ville de Kona sur Alli Drive. Il est construit sur deux lots et a donc deux fois la façade océanique. Les mises à niveau récentes comprennent de nouvelles tuiles dans le salon et la cuisine, et de nouveaux tapis dans toutes les chambres. Deux suites de maître du roi avec leurs propres bains et une troisième suite de la Reine ouverte à lanais spacieux en bord de mer. Une 4ème chambre a des lits jumeaux. Les grands curseurs ouvrent la salle de séjour et la cuisine à et véranda couverte expansive pour la transition facile et ce sentiment d'intérieur / extérieur avec de belles brises de l'océan. Les étapes vous mènent à une pataugeoire d'eau salée (bain de Queens) pour un refroidissement exaltant. Privé et calme, Hale Huna Kai vous ramène au vieux Hawaii avec votre propre petit coin de paradis! The home was beautiful with great ocean views. The home had everything we needed and was well-maintained. Wayne responded quickly to any questions we had and was very helpful. Within walking distance to many shops and restaurants and the Queen's bath was incredible. Beautiful sunsets. Great watching the ironmen athletes training--their 1.5mi turn around in the swim portion is in view. Some mornings we saw humpbacks in the distance. Was a wonderful place to eat dinner, and honestly, for the amount of people we had on a family vacation (even though it was expensive) I think it was a pretty fair deal. It had a hottub when we paid to rent, but that was taken down from the listing later and sure enough it wasn't working when we got there. So that was the one bummer. Otherwise, you're going to be happy you stayed here. You can run (with your feet) down to Kona and it's on the dry side of the island, so we only had 1 rainy day the whole week during the rainy season. We have stayed in the home before. It is an older home and is a bit worn. The property manager responded and fixed many of the problems. Our family vacation of seven, we were very comfortable and pleasantly surprised at the beautiful view of the ocean that we enjoyed day and night on the large lanai (porch). We were whale watching all day long. The pictures of the home is exactly what you will see. We cooked and grilled our Christmas dinner provided with all the amenities needed to achieve all our meals.. The Queen Bath was enjoyed by all and we swam and snorkeled right beside our rental. Our family enjoyed the hot tub and the beautiful garden. Within walking distance we attended church, ate out, finding a large variety of restaurants and shopping for groceries and souvenirs. Shopping centers and markets are in short driving distances. Wayne the property manager was very helpful to make our stay pleasant. You can not go wrong with this vacation rental, enjoy! Thank you!